Stacy Bush is the President and Founder of Bush Wealth Management, LLC. He has worked extensively in the field of wealth management since 1999. At that time, he began to realize the high degree of pleasure and satisfaction that he receives from being able to see people set and pursue their financial goals. Over the years he and his team have developed two specialized markets, agricultural based families and professional women in our community. Having been raised on a peanut farm in South Georgia, Stacy understands the needs of rural investors. He also realized that we have a unique ability to connect with women during emotional times in their lives and we understand the female investor’s distinctive investment approach. Stacy has lived most of his life here with his wife Carla and their four children; Ethan, Devan, Dillon, and Amariah. 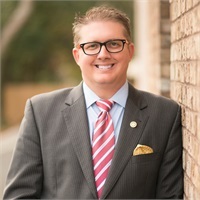 Outside of running his business, Stacy finds time to remain actively involved in his kids’ activities and numerous community organizations such as: Valdosta Board of Education, Leadership Lowndes, Wiregrass Foundation, and Valdosta Rotary Club.